As the majority of Canada’s food waste occurs in the household, some of the most effective waste reduction strategies focus on the individual. In support of this idea, Sustain Ontario has released its second Food Waste Toolkit, a guide for municipalities and regional governments, food policy councils, NGOs and community groups. It contains information on existing initiatives as well as opportunities to reduce food waste at the household level. 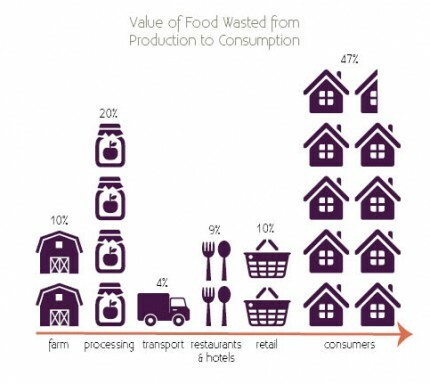 Canadians waste more food at the household level than any other sector. The online toolkit seeks to help communities in maximizing food waste reduction, offers economic benefits to local economies and facilitates partnerships with actors across sectors. Read more about the toolkit as well as Sustain Ontario’s other food waste initiatives here.